Many couples find they do not want to undergo the traditional, adversarial court process. 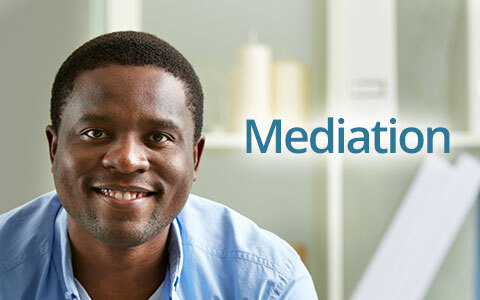 For couples who are willing to make a full financial disclosure, in addition to being willing to compromise, mediation could be an excellent, cost-effective alternative. When a party to a divorce owns a business, it is necessary to consider hiring a business valuator. The business valuator will assist your attorney with the presentation of your evidence regarding the value of your interest in the business and the other party’s interest, or lack of interest, in the business. The law firm of Kelleher & Kelleher, LLC has worked for many years with the local business valuators in divorce litigation and enjoys a very positive professional relationship with many local business valuators. 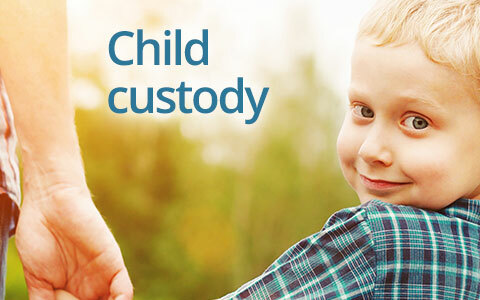 When the court is being asked by the parties to a family law case to make determinations regarding child custody and visitation, it is often necessary to use child custody experts. Sometimes, the court will appoint an expert to evaluate the case by meeting with the parents and the child(ren). The law firm of Kelleher & Kelleher, LLC has worked for many years with the local child custody experts in divorce litigation and enjoys a positive professional relationship with many local child custody experts. A forensic accountant is an accountant who is qualified through education and experience to identify accounting problems. Forensic accounting experts are used in divorce litigation when the parties disagree on property division issues, such as the value of a business or the distinction between separate and marital property. Children in the custody of the family court because of abuse or neglect are frequently placed into foster care. The law offices of Kelleher & Kelleher have represented foster parents in family court, and John and Christine Kelleher are licensed foster parents. In Nevada, guardianships may be granted over minor children or adults. In order to obtain a guardianship, the paperwork presented to the court must comply with Nevada’s guardianship laws. The attorneys at Kelleher & Kelleher, LLC all have experience in guardianship court. A party to a divorce actions often fears the other party is hiding assets in order to deprive the other party of a just property distribution in divorce court. Nevada law prohibits hiding assets during divorce proceedings. If necessary, experts such as private investigators and forensic accountants may be hired to assist with determining whether there are hidden assets and locating them. When a divorce is filed in the family court of Clark County, Nevada, a joint preliminary injunction is automatically issued. It is effective upon the party requesting it at the time it is filed and issued, and it is effective against the other party at the time of service. The purpose of the injunction is to prevent either party from improperly using or transferring marital property during the divorce action. When the parties hire legal counsel, they incur legal fees and costs of litigation, such as filing fees. Often, a party feels he or she is entitled to reimbursement of those fees and costs from the other party. Pursuant to Nevada law, a party to a divorce action is sometimes entitled to reimbursement of those fees and costs from the other party. The law offices of Kelleher & Kelleher, LLC can help you determine whether you may be entitled to reimbursement or whether you may be required to reimburse the other party, so you may proceed through the litigation with this in mind. Nevada law allows a person to change his or her legal name under certain circumstances. If you would like an attorney to handle a request to change your name for you, please contact Kelleher & Kelleher, LLC. When someone close to you passes away, unfortunately you are often left to deal with legal issues. Kelleher & Kelleher, LLC has assisted clients with legal issues that arise in probate court following the death of a loved one. If you want your rights protected in probate court, contact us. When spouses divorce, the property of the parties must be divided. Sometimes, the parties agree to a property settlement and sometimes the court orders a division of the property. Parties often disagree as to the value of property, and the court is asked to determine this based on the evidence presented in court. Parties also often disagree as to whether property is the separate property of one party or the community property of both parties to the divorce. Again, the court is asked to determine these issues based on the evidence presented. The law offices of Kelleher & Kelleher, LLC can help you determine a fair property settlement for your divorce and can vigorously present your claims to the court. After a divorce action is filed, the court is authorized to make temporary orders regarding child support, child custody and visitation, alimony, attorney’s fees and occupancy of the marital home. At Kelleher & Kelleher, LLC, we strive to obtain temporary orders as quickly as possible to assist our clients with these important issues.